I love this time of year. So many seasonal fruits and veggies, I can’t get enough! Our family favorite right now are persimmons. Passing them up seems impossible these days. The kids are all over the pomegranates, my daughter can snack on those all day. I love love love it. Hope your enjoying earth’s bounty right now just as we are. All this is perfect timing for Thanksgiving. 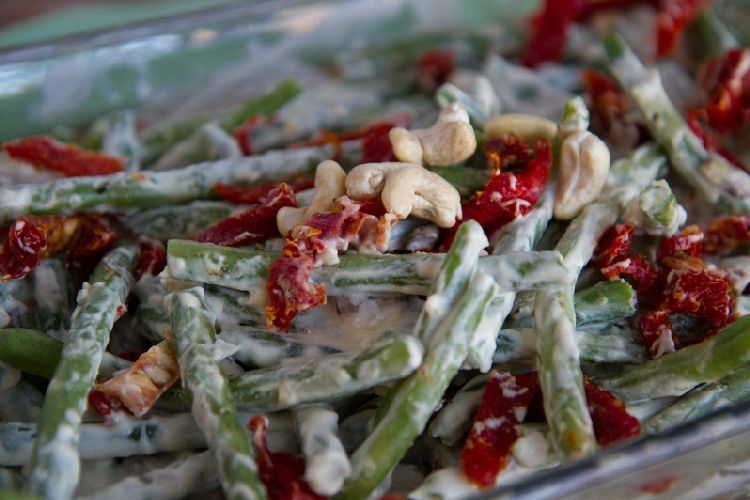 And I’m excited to share this Raw Vegan Green Bean Casserole, which is also a great recipe to used if not eating raw. As a child food was always the main attraction, that’s especially so during the holidays. Which I believe can be a great way to bring people together in celebration and love. But the food we ate then isn’t anything I’m happy eating now. As an adult and really wanting to change our traditions into ones that are more focused around health. We encourage our children to get involved and be apart of the making of these traditions. Especially when it comes to meal planning. I want them to be apart of the whole process of preparing a holiday meal, from shopping for the produce to final preparation and of course the pictures! It’s all a family affair. Green beans are a good source of the antioxidants, vitamin C, and beta-carotene, which help keep arteries in good condition and prevent atherosclerosis and cholesterol deposition. Green beans are also contain vitamin A, potassium, magnesium, and zinc, as well as a reasonable concentration of B vitamins. The high vitamin K content of green beans may be useful in protecting against osteoporosis by preventing the activation of cells called osteoclasts that cause bone loss. Green beans are one of the few vegetables that contain a good dose of iron, which is a particularly good for vegetarians. 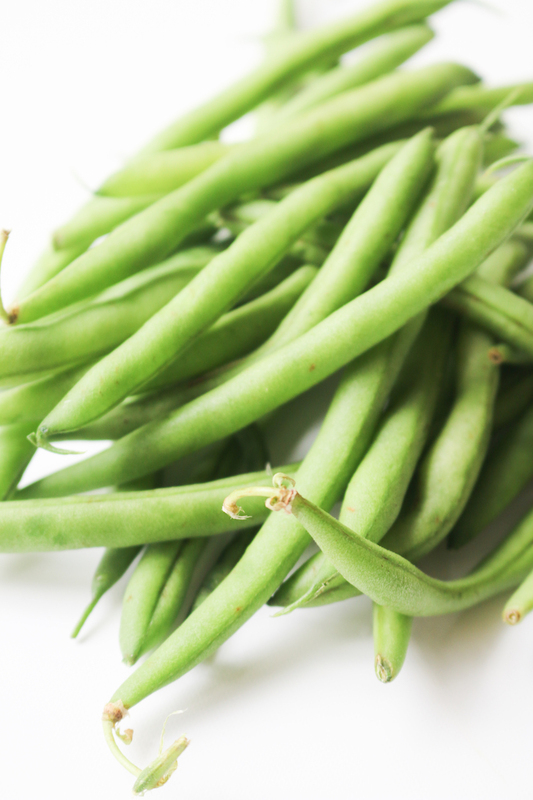 Green beans have been known to prevent colon cancer from the high content of vitamin C, beta-carotene and fiber. This was the one that both my children requested to be on the Thanksgiving menu and of course I couldn’t disagreed. But I did want something that could be eaten both raw and cooked. Since my husband is fully raw at the moment, I wanted this green bean casserole to be easily modified for both parties. 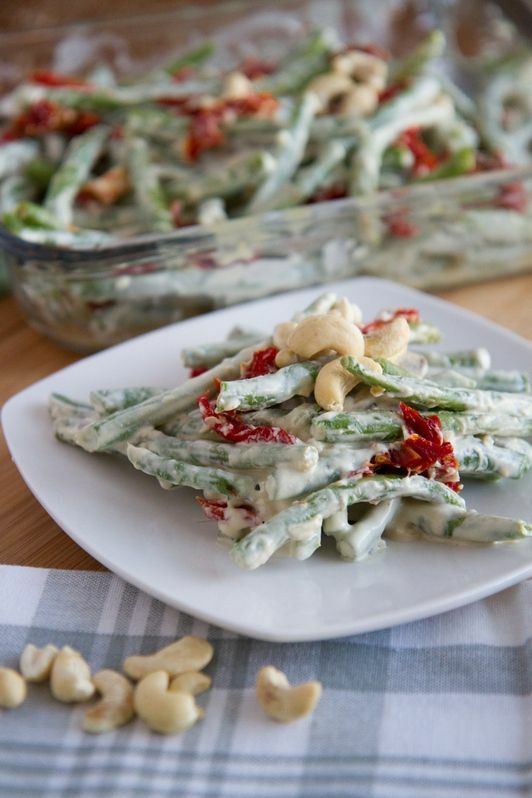 This raw vegan green bean casserole is perfect for this years holiday feast. It's the best of both worlds since you can make either raw or cooked. Enjoy with your family and friends, Happy Thanksgiving! Clean, trim, and cut green bean into bite size pieces. Place them in a large mixing bowl. In your high speed blender combine cashew, water, nutritional yeast, olive oil, apple cider vinegar, and seasoning. Blend until smooth and creamy. Combine chopped onion, mushrooms, and sun dried tomatoes into your large mixing bowl. 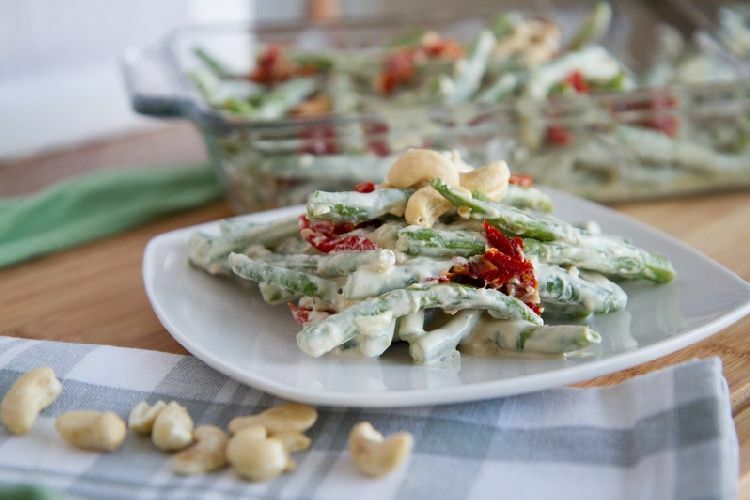 Pour your cream sauce over green beans and toss. Pour it in a serving dish. Serve at room temperature. I used the nutri-bullet for the making of my cream sauce. Make double and get the best of both worlds. To cooking this recipe, set your oven at 350 degrees and cook for 20 min. Hi, I'm Vanessa and this is my blog where I share simple tips on eating well, feeling whole and living life naturally. Check out more on my ABOUT page. making it simple to EAT WELL, FEEL WHOLE & LIVE LIFE NATURALLY.